I never have a problem with Blogger before but last night I freaked out. I had service unavailable error 503 that took 30 minutes. Anyway, its the end of the month. I know most of you already put up your Christmas Tree. Well, I put up our Christmas Tree yesterday. Charles was so excited! I felt bad though because my husband wants to help to put our Christmas Tree but I never waited till he gets back home. He said its a family thing but he was happy when he saw the tree last night. I like our Christmas Tree. It has fiber optic lights which makes the tree looks lovely. Oh well, its wrestling season. Last night, we watched a wrestling match at Rogers School. My husband and I was happy because Charles did a pretty good job during the match. Tomorrow night my husband will be traveling with the wrestling team. Hopefully they will have a good season. We started recycling our cans, papers and bottles a year ago. So far it has been doing great, knowing we can help our environment makes it even better. I’m planning to start composting leftover foods instead of running our garbage disposal to save energy this winter. I found a cool compost tumbler that I can start up with before the year ends. It has free shipping so I can save more money as well. I had a busy day yesterday. We went shopping and I bought a new pair of Phantom boots and Levi's jeans. We bought an early present for Charles and polo shirts. My husband bought a new pair of wrestling shoes and a Missouri shirt. Anyway, were suppose to head out around noon so here I am wasting my time on the computer. This is the second time that I will be away without Charles. I hope he will not cry when he noticed he's not going with us. As a mom we always want the best things for our newborn children. Baby Carriers are one of items needed to carry our little bundle of joy anywhere we go. For an expectant mom shopping for the best baby carrier is one of the most important things you do. There are even baby carriers that are Eco-friendly just in case you want your child to live a lifestyle friendly to the environment. It is a tough decision for you and your partner deciding which baby carrier you are going to purchase. I remember when my husband and I shopped for the things for our son. We can hardly decide which one to get because we usually disagree on styles, colors and brand names of the products. We will spend our Thanksgiving in Kansas City with my husbands family. Its a 4 hours drive down there but it will be fun. I am looking forward to watch Macy's Thanksgiving Day Parade on Television. Then on Saturday, my husband and I are going to watch college football between Missouri Tigers and Kansas. The game will be in Arrowhead Stadium where the Kansas City Chiefs play. Oh well, I'm using a laptop while typing this post but I'm not comfortable with the keyboard. Today's housing market is down to its lowest interest rates we have seen in many many years. As you know buying a house is a huge investment and without a doubt the largest purchase any of us is likely to make in our lives. Any first time home buyer of course has many questions and concerns like, What are the bottom lines on Rates, What to Know About Closing Costs, Credit Scores and how much of a Down Payment is necessary. If you have any questions like these you can visit this website, http://www.advantagehomerates.com/ The site is very informative and will answer all of your questions. Bad Credit Scores affects you when you are trying to buy a house or car. Creditors will take advantage of you with high interest rates which will effect you not just for years but for decades. Be an informed buyer and prepare yourself before entering the housing market. I have not had healthcare insurance for almost a year now. This does not mean that my husband cannot afford to pay monthly premium. Its was very frustrating when my husband was trying to renew my coverage and it was denied because of my preexisting condition from five years ago. It's my biggest fear, not having my insurance coverage. I have been looking on the web and found affordable health insurance. Since I'm in good health, discount medical insurance policies are accessible. If you're looking for the best health insurance quotes america-healthinsurance.com has lower health premiums that are affordable for your budget. I really miss having my healthcare insurance coverage. I got good service during my doctors appointments. My husband, Doug this week got Skyrim from his Gamefly. He has been playing it quite a bit between our games of Chutes and Ladders with Charles. He talks about how cool the game play is and how realistic the world is. I can see what he is talking about. When he plays the screen looks great. The whole world down to every blade of grass, tree, butterfly & even fish in rivers is there. They are not just in the game but they look so real. Even the farthest mountain can be climbed and traveled to. Doug says this is an open ended game where you can do what you like. It is pretty scary sometimes too when he fights zombies or vampires. This game kinda makes me want to turn into an XBox junkie like my Asawa. Since I started blogging, I have become very interested in how I can improve my website. I want to improve it by making my own web template designs. I know there are plenty of tools that are available online but I had not been looking seriously for them yet. I have though heard positive feedback from this site, freelinkbuildingtools.com which offers free link exchange and build links to help me get started as a webmaster. We all want the best for our website and increase our audience on the web. Avail of this free links that you can use to help you get started as well. I loved shopping for maternity dresses when I was pregnant. For moms out there who are expecting a baby it’s good to be fashionable and stylish. Babies N Bellies have the widest selections of maternity tops, bottoms, dresses, lingerie, sleepwear, nursing tops, accessories and gifts. Use this code NEWMOMSROCK to take 10% off of your order. They also offer free shipping on orders over $100. Enjoy your pregnancy and look great doing so. I joined another blog advertising last July 5, 2011. Yesterday, I got an email from their website about New Link Opportunity. I had no idea what the email was all about. I thought they just change their website. I was not expecting to received a task from them because its been a long time that I have not heard anything from them. I was so happy to received a task from them. I already type my blog last night but I'm still waiting if there are any corrections that needs to get fixed. Oh well, as I mentioned on my other blog, will be in Kansas City for Thanksgiving and we will watch college football. I am excited because it's just one week away from today. I need to start packing our clothes and other stuff that we are going to take with us. My husband, Doug has a friend from college who works as a business office manager at a local manufacturing plant. His friend, Calvin was over this weekend and like guys do they started talking about work. CD as Calvin goes by was talking bout how his company had started using fly ash handling from United Conveyor Supply to help in their transferring of materials around the plant. Well being a kind of geek and liking to know how everything works Doug started reading the United Conveyor Supply website and found out many interesting things the United Conveyor Supply provides. He found out that the company provides transferring and transportation equipment of the highest quality in all manners and forms. Some of these methods include pneumatic, mechanical, vibratory and hydraulic. The types of clean running options included fly ash, bottom ash, mill rejects, dry sorbent injection, reagent handling and economize ash. If you work in field that can use these services or products make sure to check out United Conveyor Supply, a company with over 90 years of experience in six continents and over sixty nations. I am obsessed of checking my blogs every single day. Recently, noticed I got PR 2 for this blog and my other blog dropped to PR 1. I was wondering why my other blog dropped to PR 1. It has more page views compared to this blog. Anyway, I still have reasons to be thankful for and I got tasks to do from my favorite blog advertising. Oh well, I am excited to see my husbands sisters for Thanksgiving. It's sad though that MJ and John couldn't come for Thanksgiving. She's working on that day at the hospital. My husband and I are going to watch college football at Arrowhead Stadium in Kansas City. It is hard when someone we love suffers from problems especially things like drug addictions. A Professional health team has developed a new drug rehab program that is effective in many ways. Detox 5 is an innovative and effective program for people who suffer from addiction. Patients 18 years of age or older have been having amazing results that are out of this world. Of course any drug rehab program is dependent on how much the person facing the addiction wants to change their lives. It takes more though then just bottoming out to make someone want to change or stop those destructive urges. Fighting an addiction is a long hard struggle and having a professional team and program on your side is of vital importance. Drug abuse is so prevalent that it can affects almost every family here in the United States of America as well as around the world. Many people are also confused on what drugs are addictive. Heroin is one of the most deadly and addictive of all drug addictions. It takes some powerful tools and will power to fight the addiction. That is where Detox 5 comes in, it is specially developed to help fight the heroin detox battle. The medical field continues to be a growing and profitable business in the United States of America. There are though many pitfalls to the medical provider business model. These problems include many legal issues like malpractice suits, insurance claim issues and governmental audits. To help navigate these minefields you need someone on your side with experience, savvy and a great reputation. Advanced Medical Strategies or AMS for short is just that company you need. Advanced Medical Strategies provides a full lineup of services needed to help protect yourselves from the sharks swimming around your business. Services provided include Clinical Reviews, Negotiations, Audits, Consulting and Specialty Audits. Now many can provide services but what makes AMS special is their level of professionalism, skill and results. AMS provides one on one counseling as well as a full line of interactive online resources including the impressive, Dr. Stacy Resource Library. If you are interested in these services or the company be sure to check out their website at, http://www.mdstrat.com/. The AMS website is full of information and easy to use. Stop Loss Underwriting today and make sure to check out, Advanced Medical Strategies. As a home buyer we all want to have our dream house, a million dollar view, great location, easy access to the water and a great neighborhood to start a family as well. Whether you are relocating to a new state or just moving locally, South Carolina has many great places to start a new life. Online Charleston Real Estate has been helping clients find their dream house for so many years. If you’re interested in living a good life in South Carolina, Charleston real estate as your realtor agent that you can rely on in finding your dream house. Check out their featured listings of properties, subdivisions and rentals as well. Holidays are just few weeks away so I started to shop for a Christmas present for my husband. I knew he wants a new pair of sunglasses so I started to look them up on the web. I found a great site eyesave.com. They have Maui Jim Sunglasses, the most popular sunglasses brand in the world. With several styles and colors to choose from I can hardly decide which one to get. Maui Jim Sunglasses Thousand Peaks caught my attention and I know my husband will look more handsome in these sunglasses. We all live a busy lifestyle and many times we let things go in our house. When you don't feel like cleaning it by your self, you'll probably need to hire someone who can do the job for you. If you have no idea where to hire someone who can clean up your house http://www.thesteamteam.com is your source for your home cleaning needs. They've been serving customers in Austin and Dallas, Texas since 1983. Services offered include furniture steam cleaner austin. 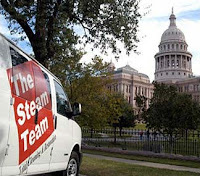 To learn more about The Steam Team of Texas, you can visit their website to check what services are available for you. I had a pretty good day today aside my back being sore. Tomorrow I will go to the Asian Store and buy Omega Pain Killer. My mother has been using this ointment for long time. I know it will gonna smell like menthol in the bedroom but I want to try it for my back. It's hard that I'm getting older. I experienced more body aches now than before. Even picking up things on the floor I have to squat so I can get it. Oh well, I have tasks to do and I need to type it next. Millions of people are switching careers to work in the healthcare industry. It's a good paying job with great benefits as well. My husband's sister, Mary Jane is a registered nurse at a local hospital in Fairfax and their cousin Linda, Director of Nursing. If you're looking for medical scrubs as a holiday gifts http://www.blueskyscrubs.com/categories/Scrubs/Scrubs-for-Women/ has the widest selections of nursing scrubs of all types. 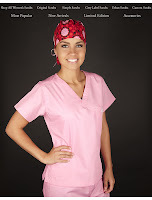 They also have scrub hats, lab coats, shirts, jackets, gift certificates and accessories. The site is designed for fast and smooth shopping experiences. Free shipping on orders of $155 or more is also available. Sign up for free to receive email discounts. Free returns and exchanges are also available. Our neighbors Stacey and Tyler are inviting us for a Kayaking trip to Beaver Lake next week. I am not an outdoor person neither is my husband. I think it's best for us to try this kind of adventure on the water. So here I am browsing on the web looking for kayak paddles. Outdoor Play has the widest selections of Kayak Paddles and other sporting gears. Whether you are new to Kayaking just like me and my husband, Outdoor Play is the site for you to check around. Join their community forum to learn more about Kayaking and how it can help you and your family members as well. Offers free shipping, price match guarantee, easy returns and exchanges. They have a five star rating on amazon.com and great customer service. Christmas is just few weeks away. We always have exchange gifts every year so I am looking for the perfect gift for my sister-in-law Mary Jane. She's a registered nurse at a local hospital in Fairfax and our cousin Linda is the Director of Nursing. I think nursing pins would be a great gift for her so she can wear them to work. Pin Mart has the widest selections of customizable lapel pins of all sorts. It's very inexpensive and these pins are great gifts for the holiday. The site has a wide array of items available for customization including lanyards, bracelets, awareness items, school, club items and even challenge coins. Great sales are available in the bargain bin to get many items at a great cost. The website is easy to use for a fast and better shopping experience. Sign up for email to receive exclusive money savings promotions and discounts as well. If you like collecting pins of any types, Pin Mart is the best store for you. Pin Mart also can provide bulk orders for your business and employees. How's your trick or treating last night? My son Charles' did a pretty good job of knocking doors and saying trick or treat and thank you. We had fun trick or treating last night. Most of the kids dressed up for Halloween Costume. Oh well, I was about to submit a blog post and noticed I typed it on the other blog. Well, it's gonna be a busy day for me. I have lots of clothes to fold and I don't like it. I'd rather clean the house but not of folding clothes.